About Dr. Harley Liker, M.D., M.B.A.
Dr. Harley Liker opened one of the first concierge medical practices in the United States in 2000. After spending five years on the full time faculty at the UCLA School of Medicine, he founded Liker Consulting, Inc. which provides comprehensive primary care and immediate need services on a retainer basis to a limited number of individuals. Through Liker Consulting, Dr. Liker provides exceptional primary care, priority access to leading specialists throughout the United States, treatment plan development and oversight of complex medical issues to individuals, families and corporations. Dr. Liker was chosen by “Concierge Medicine Today” as one of the top concierge doctors in the country, a distinction held by less than one percent of doctors each year. Dr. Liker has also been repeatedly selected by “Castle and Connolly” and “Best Doctors in America” as one of the top Internal Medicine physicians in the United States. Los Angeles Magazine selected Dr. Liker as one of the best doctors in Los Angeles and he was also selected by Town and Country Magazine as one of the top doctors in United States. Dr. Liker is currently an Associate Clinical Professor of Medicine at the David Geffen School of Medicine at UCLA where he has assumed several positions of leadership. He currently serves as Chairman of the Utilization Review Committee. Dr. Liker has also served as a member of the UCLA Medical Center’s Policy Improvement Committee, UCLA Medical Group Quality Assurance/Wellness Committee as well as the Peer Review Committee. Dr. Liker has taught at the David Geffen School of Medicine at UCLA for over 20 years and continues to enjoy teaching and mentoring medical students. Dr. Liker also serves as the Medical Director for The Wonderful Company a privately held $4 billion company committed to offering high-quality, healthy brands and helping consumers make better choices, every day. Dr. Liker served as a medical consultant on the television show “House” from its inception throughout the series. 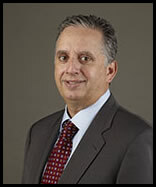 Dr. Liker has served on the board of the Venice Family Clinic since 2002. The Venice Family Clinic is one of the largest community health centers in Los Angeles serving low income and underinsured families. Additionally, Dr. Liker and his wife co-chair the Venice Family Clinic’s Silver Circle dinner committee helping lead the clinic’s largest fund raising event which nets over one million dollars annually. Dr. and Mrs. Liker were awarded the Irma Colen Leadership award by the clinic in 2013. Dr. Liker received his M.D. from the Albert Einstein College of Medicine where he graduated with honors and was elected to the prestigious Alpha Omega Alpha honor society. He completed both his internship and residency in Internal Medicine at UCLA. He received his M.B.A. from the Anderson School of Management at UCLA. © 2017 Liker Consulting, Inc. All Rights Reserved.